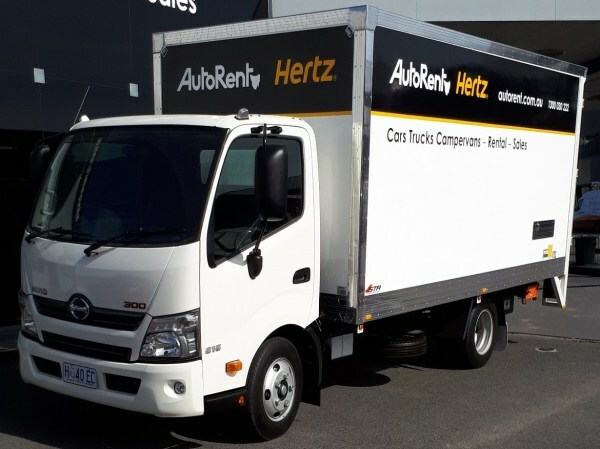 AutoRent Tasmania has you covered when it comes to commercial vehicle rental. 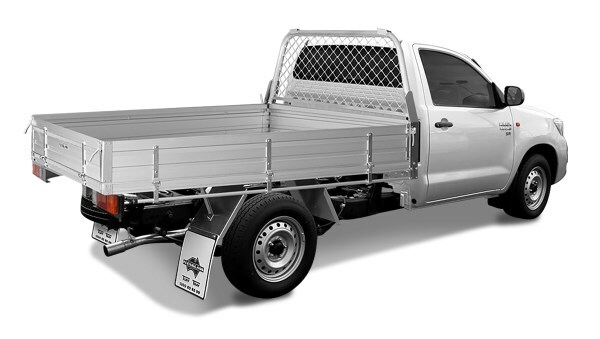 Whether it’s a truck, van or ute we’ll get you on the move in no time. We have flexible rates to suit both short and long term hire and have convenient truck hire locations in Hobart, Launceston, Devonport and Burnie. Typically, reservations for trucks and utes are for events in the near future, so to ensure we have the vehicle you need, at the right time and place, we find it best that you call our nearest AutoRent office to make a reservation. Don’t forget AutoRent also sells ex-rental vehicles so if you’re thinking of expanding your commercial vehicle fleet on a more permanent basis check out our great prices on trucks and utilities for sale. 3 seat belts Unleaded fuel. 3 seat belts, 17 cu-m capacity, 4.5 GVM Diesel fuel, can be driven on a normal car licence, power loading platform, power windows and mirrors. Rates are per day (24 hours) - extra hours are calculated at one third of the daily rate. Fuel costs are extra - your vehicle is supplied with a full tank of fuel and is refilled at your expense at the end of the rental. We accept that if you filled the vehicle before returning it to us, your intention was to have it “full”. However, as a courtesy to the next renter, we’ll check it because our experience shows that the service stations aren’t always level, and air locks do occur. If the top up is less than 3 liters, there’s no charge; otherwise the whole top-up is at your expense. Prices do not include any port/airport fees which may be applicable. Age limits - Minimum 21 (Full car licence needed - no provisional licence). 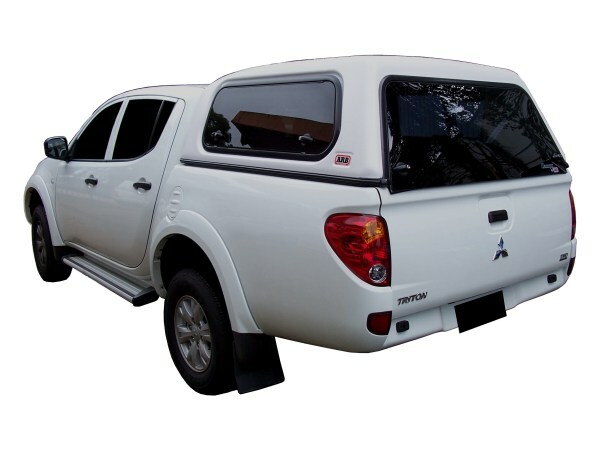 Rates include cover against loss/damage above the first $5500, reducible to $1210 by payment of an optional extra $33 per day, or the first $5500, reducible to $400 (includes windscreen or tyre damage cover) by payment of an optional extra $39 per day. Unsealed road damage: The renter’s liability will be a maximum of $9,900. For example, if the liability has been reduced to $400, and there’s an accident, damage or loss on an unsealed road, then a maximum liability of $9900 will remain. Overhead Damage: The renter’s liability will be a maximum of $9,900 for any overhead damage, regardless of fault, and whether on a sealed road or unsealed road. At the start of the rental we collect a $400 deposit plus the estimated cost of the rental (charged to your credit card, we do not accept cash). When you return the vehicle, we calculate the cost of any refueling, any kilometres travelled and any port/airport turnover fees which may be applicable, and deduct it from what was originally paid. Any balance is either refunded or collected. Free Power Lift - Avoid heavy lifting. Our Easy Mover with Tuckaway Power Lift offers a labour-saving platform (lifts up to 500kg) at no extra cost. One way rentals - May be available between Hobart, Launceston, Devonport and Burnie - a repositioning fee will apply. Trolleys - Trolleys can be hired at some locations making it easy to move bulky items. Driving licence - All vehicles may be driven on an Australian Car Licence. Long term hire - Please ask for a special quote. *Measurements are approximate only. Contact us for special rates on long term or recurring rentals. Vehicles for illustration purposes only, Prices include GST but not stamp duty or transfer fee. 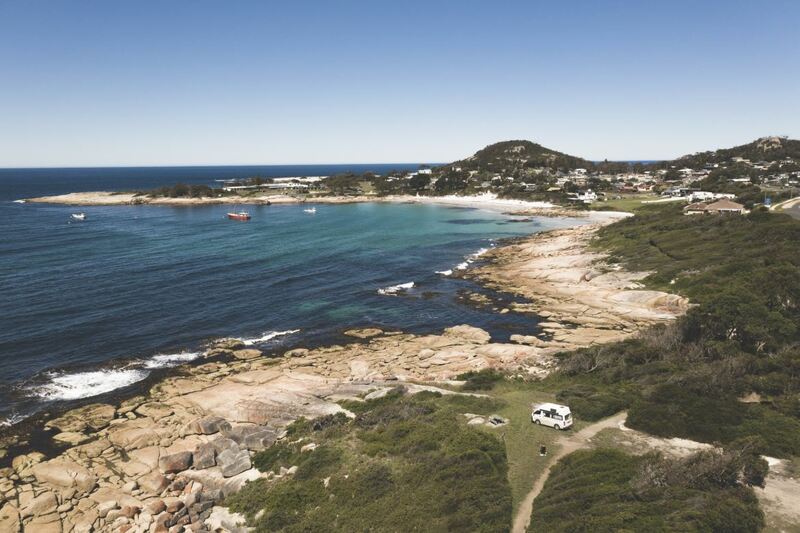 At $13 per day, to a maximum price of $90 per bike (including rack) why not cruise Tasmania on two wheels and explore so much more; or bring your own bikes and rent a bike rack for only $50 per rental. If you're a MTB enthusiast Tassie has some of the best trails you'll find anywhere, this book shows you all the trails.